City Enterprise is your first point of contact for accessing the University’s knowledge and expertise and range of business services. It helps businesses accelerate their growth by licensing Intellectual Property developed by the University’s academics, and offering access to specialist advice and world-class scientific facilities and equipment. 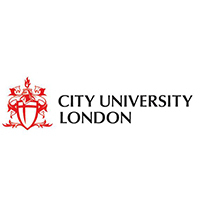 City Enterprise also helps to share the results of academic research with business and the community by facilitating access to collaborative and contract research, Knowledge Transfer Partnerships, expert advice and consultancy, professional development programmes and specialist events.